Hilton woman Sarah Alcock has spent a week in ICU after being bitten by a 1,5-metre Mozambique spitting cobra while in bed at her family home in Msinga, near Tugela Ferry last Saturday evening. 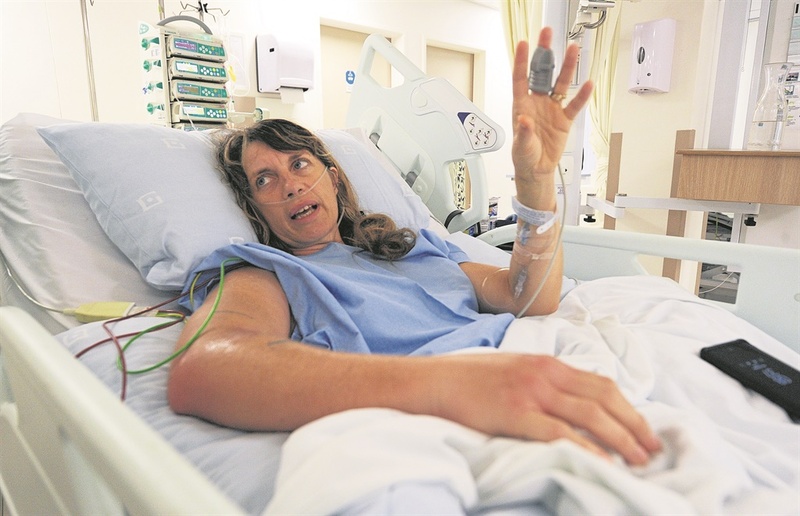 Alcock, who is group human resources manager at Wessa in Howick, sustained tissue damage to her right arm where the cobra bit her and is still waiting for the toxins from the cobra venom to exit her system. Alcock spoke to Weekend Witness from her hospital bed in ICU on Thursday morning, saying she was only supposed to be in ICU for “one or two days” before being moved to a general ward. “I did not expect to still be here,” she said. Alcock said she, her husband Rauri and her two children had gone to her husband’s family home in Msinga last weekend for a long weekend when the cobra struck. She said her two boys had been watching movies on Saturday evening and she had gone outside to check on some things. “I saw a snake, the cobra, on the porch but it just slithered away into some bushes and we didn’t really think too much of it. Alcock said there was no cellphone reception where she was and they had to drive 19 km down a dirt road before getting a signal. “I kept vomiting all the way to the hospital. When I got there, the staff was very good but they did not have any anti-venom. “We were then told that we would have to wait two hours for an ambulance to come fetch me and transfer me to a hospital that did have anti-venom. 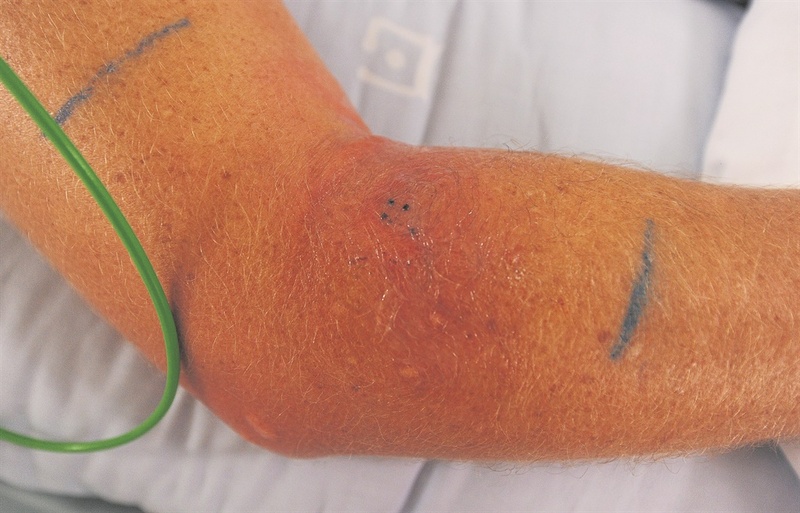 The bite marks from a Mozambique spitting cobra on Sarah Alcock’s arm. She said although she had been bitten at 10 pm on Saturday, she only arrived at Pietermaritzburg Mediclinic at 2.30 am. Once in hospital, Alcock said she had a team of four doctors around her as they prepared to administer the anti-venom. “Because so many people have allergic reactions to the anti-venom, they gave me a shot of adrenaline in case there were any complications but luckily there were none. She said the swelling had gone down but that she had started to get blisters which is apparently a sign of “the start of necrosis”. She added that the pain was terrible, it was a constant throbbing and that she constantly needed pain medication for some relief. African Snakebite Institute director Johan Marais, said all anti-venom is made by the South African Vaccine Producers in Johannesburg, and is part of the National Health Laboratories. 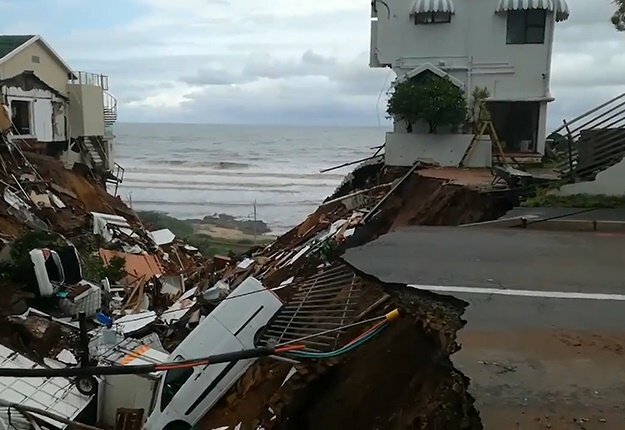 “State hospitals in high risk areas keep stock but not all of them. Some hospitals run out of stock and forget to re-order,” said Marais. He said a vial of anti-venom costs around R1 426 and the average patient needs between 10 and 12 vials for treatment. He said it has a shelf life of three years. “The sooner anti-venom is given the better, however, more than 85% of snakebite victims do not receive anti-venom because the bites are not that severe. Marais said most bites happen in Zululand, with around 400 hospitalisations a year. KZN Health Department spokesperson Ncumisa Mafunda said “the department has adequate amounts of anti-venom within its hospitals and community health centres”. 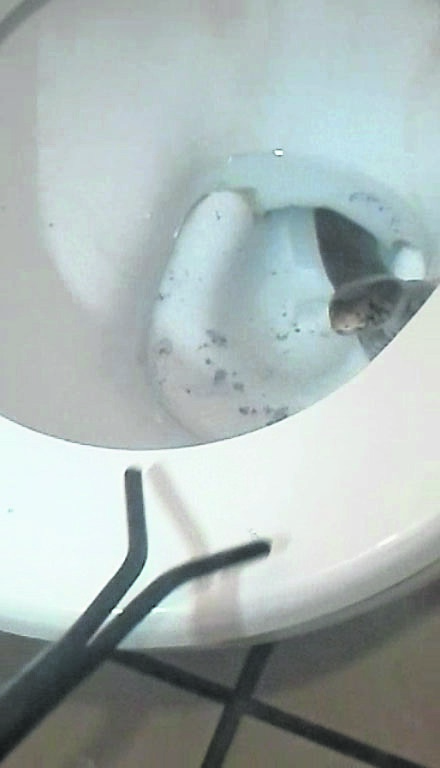 In a different incident, Juliette Roos from Pretoria found a Mozambique spitting cobra in a North West toilet.